use Windows click here to download. 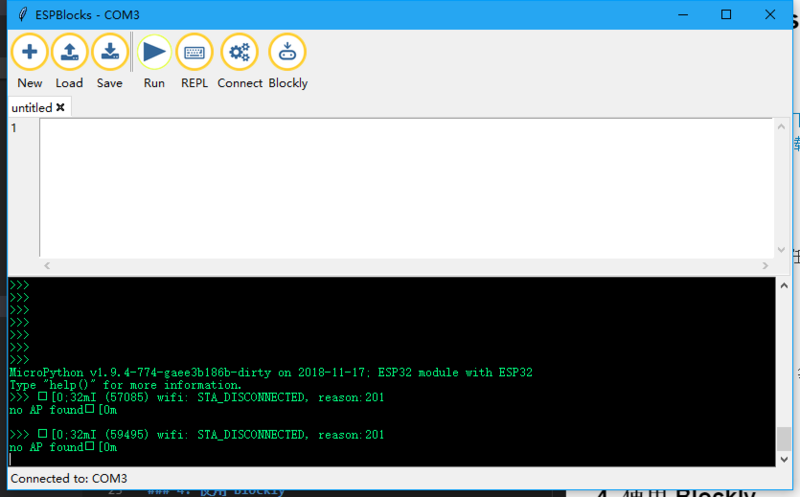 use Python source code click here to download, the need to build Python depend on the environment, you don't go into here. 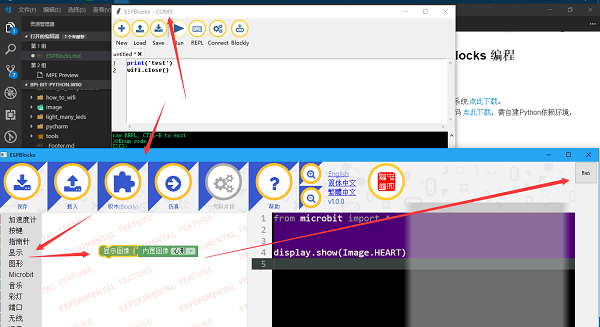 Windows for example, in any location directly run, it is recommended that there is no Chinese path. Whether or not there is a Connect board, the Connect search board will pop up once, or you can click on the Connect to pop up the window. 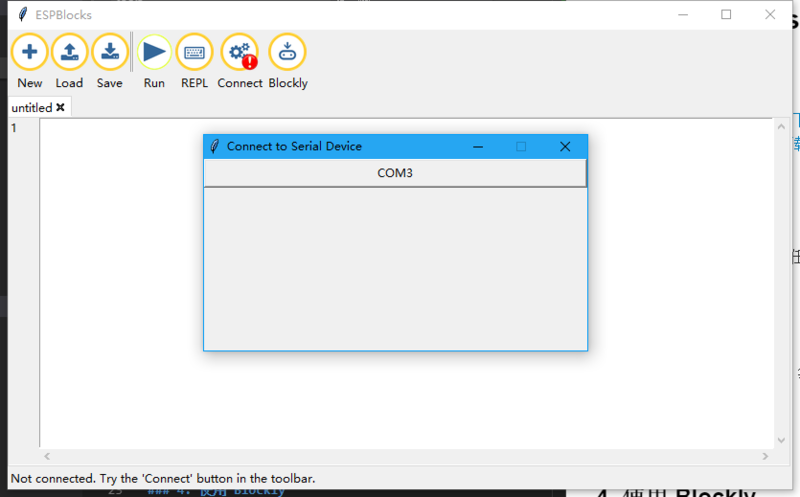 Now we connect the board through the wire, it will automatically find the current connected board serial port and display, as shown in the figure below. Then click the button in the figure to confirm that it is their own board can be connected. Prepare a piece of code and copy it into the white box. Follow the arrows in the figure below. When you click the Blockly button in the menu, a fixed size window pops up. 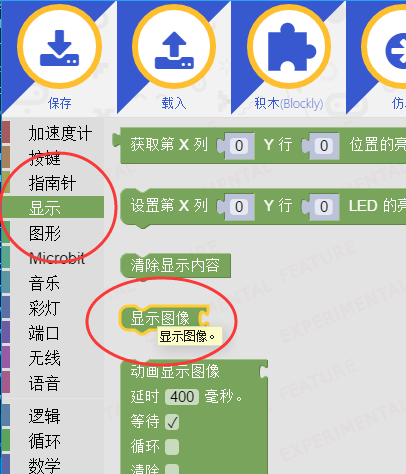 This function cannot be reused at present, so you need to close the program to use it again. 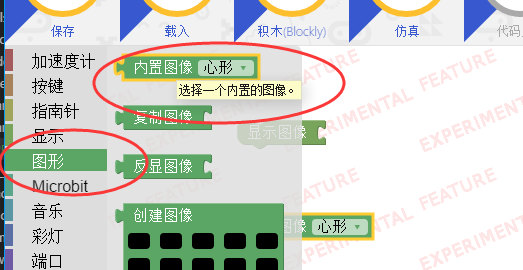 Select one of the display interface blocks in Blockly and it will appear synchronously in the edit box on the right, but you cannot edit code in Blockly mode. And then put it all together. 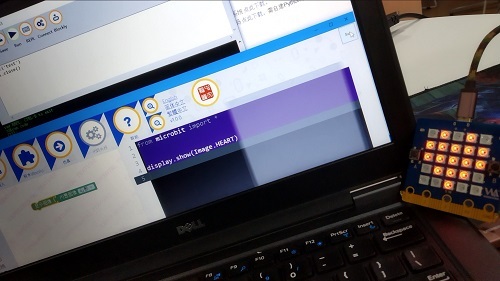 The code is generated automatically. Click the Run button in the upper right corner to Run the program. Important: only compatible with most functions of microbit, so there will be some interface incompatibility problems. If there is a problem in the process of using, you can try to submit an issue to me, and I will fix it from the underlying firmware. Note that this software is completely open source and is only recommended for beginners to use, so there will be some unsupported functions. 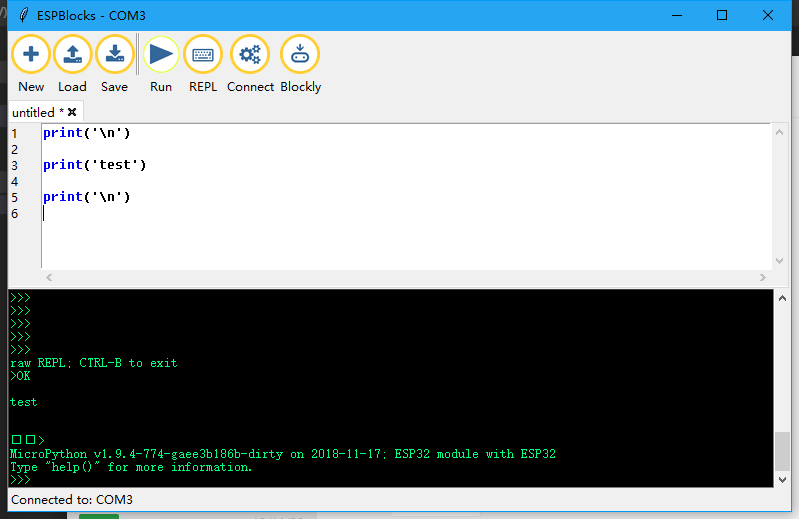 If you need more complex functions, please use the series of mpfshell tools I maintain. 1,REPL support is poor and lacks some of the features that affect the experience, such as Tab auto completion, so don't worry if you don't know REPL. 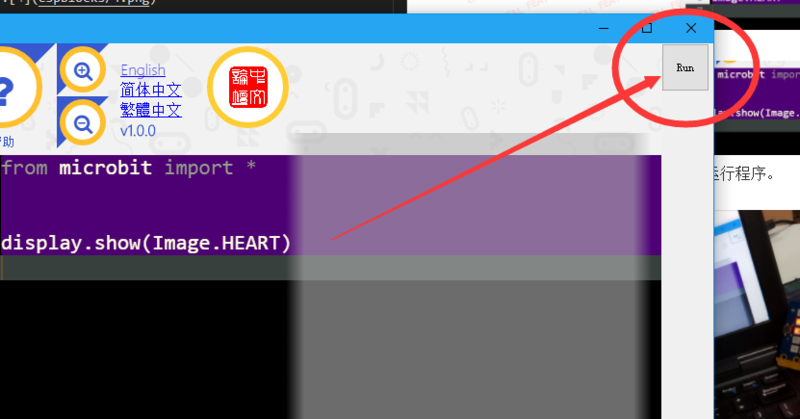 2,Blockly's generated code has many incompatible interfaces, and the window cannot be opened twice.